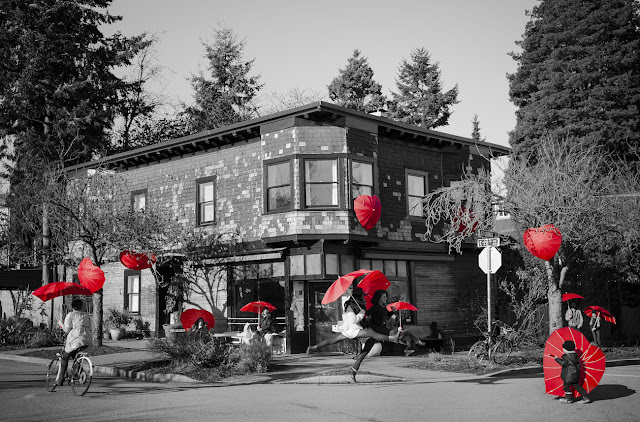 We cannot thank Kelly Deck, Barry Calhoun, Mark and all the volunteers of The Love Umbrella Project project enough. To be included with such an amazing group of people is beyond flattering, it was an absolute honour. We congratulate everyone involved from organizers, volunteers, community leaders, photographers and donators for an absolutely incredible job.Thank you to our neighbourhood for welcoming us so warmly. 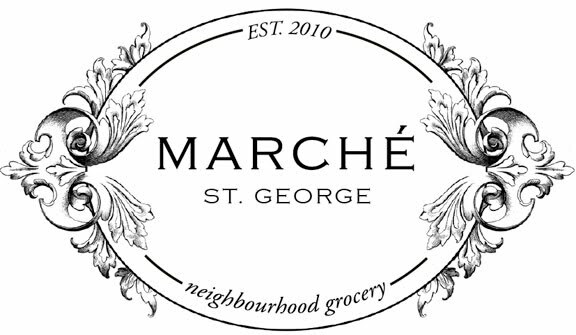 When we first opened Le Marché St. George two years ago, we wanted to create a beautiful city oasis - an escape from the mundane grind of our ‘efficiency’ culture, a fantasy place to enliven your senses. 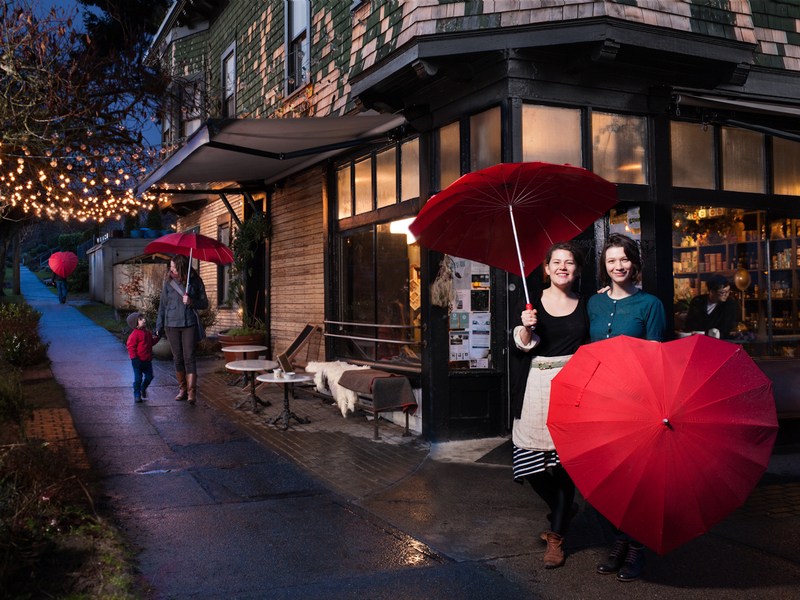 But we didn't really think about the amazing feeling of love and connectedness it would bring to the neighbourhood. This is not a cafe where people come to spend time on their computers - they come to share time with each other, to connect and feel a sense of belonging. And it's not just a café. We also provide a venue for many small, unusual and experimental businesses. We are the pick-up venue for the Innercity Farmers. We house bees on our roof for Mellifera Bees. We've been a pop-up restaurant featuring some of Vancouver’s best young local agriculture chefs. We sell excess produce from our neighbours' trees, and our yard has even been turned into a darkroom for a pop-up Calotype studio! 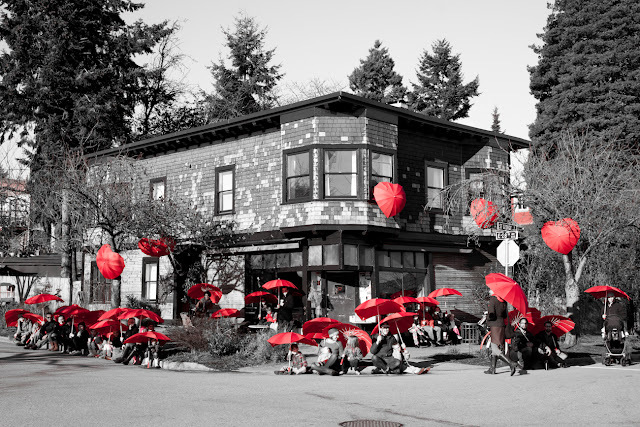 We love having a place that inspires creativity and experimentation. For our shoot, I sent out an email to our community asking them to come by between 10-12pm. By 11, not many were there - but suddenly 40 people arrived all at once! 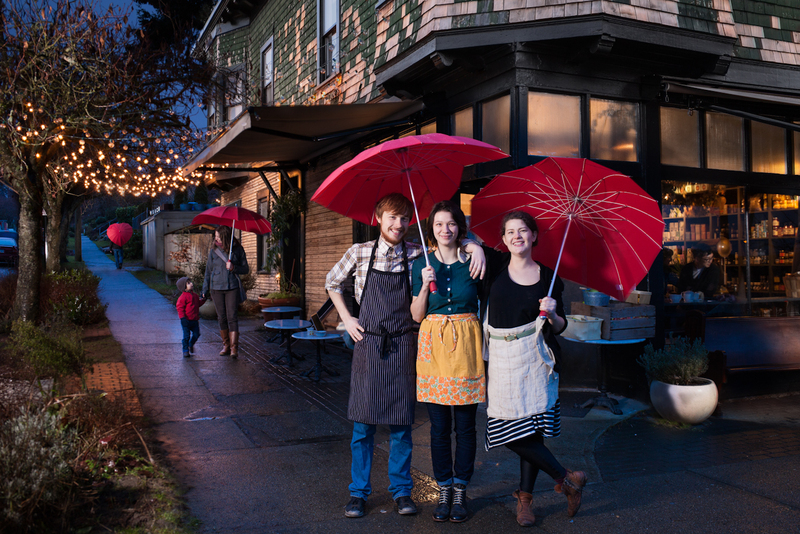 The shop has always had a feeling of spontaneity - you never really know what will happen there. 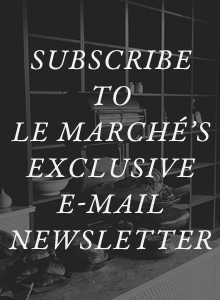 And it's all testament to the love and trust we're proud to be purveyors of at Le Marché St George. What an exciting and fun experience that must have been. Shows the passions and spirit of Le Marche for sure! !